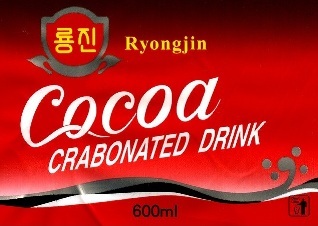 Pictured above, the DPRK’s local cola logo. Image source here. UPDATE 1: Stephan Haggard believes this is a non-story. Global capital is an inherently lonely trade, but as Gabriel Schulze ambles into the conference room of Yanggakdo International Hotel, a towering edifice separated by a ring of water from the rest of Pyongyang, the most impenetrable capital in the world, it’s hard to imagine a more isolated business meeting. Why is a U.S. businessman in Pyongyang pitching America’s most iconic consumer brand to the world’s most inhospitable marketplace? Because, surprisingly, the Democratic People’s Republic of Korea is ready to buy, and eager enough to flex its atrophied capitalistic muscles that it let a FORBES reporter follow along–and record everything–as the Coca-Cola discussions heated up. North Korea, the most hidebound and repressive of socialist states, is slowly inviting not only China but also the wider Western World to invest in its near-moribund economy. Officials claim the country is open for business with outsiders, and that the political stripes of the investors do not matter as much as the money in their pockets and the willingness to deal. Chinese companies have signed a number of multimillion-dollar deals to extract resources and build and repair infrastructure, such as making port improvements in the northeastern region of Rason and paving a road from there to the Chinese border. Taepung also claims to have inked billiondollar contracts, including one to develop a huge coal mine, but those deals haven’t been nailed. American signature brands may actually be most welcome, despite or perhaps because of decades of propaganda casting the U.S. as the devil incarnate. Pyongyang’s economic representatives made clear in this and other meetings, with focus and determination, that they want Yum Brands to open up KFC franchises. Extreme wishful thinking though this may be, it’s linked to a planned ten-year revamp of the North Korean economy to expand national GDP from a meager $30 billion last year to $1 trillion by 2020. (The country can’t even feed its people; there is severe malnutrition in the countryside.) That all but impossible goal cannot be approached without an unshackling of enterprise, which may never occur, and massive help from the outside world, which may never come. The expression “reform and opening,” so familiar in China, is not yet politically acceptable language in Pyongyang. But North Korea’s courtship of the West has begun. But so far the West hasn’t come calling. North Korea remains in the dysfunctional totalitarian grip of Kim Jong Il. The regime is a defiant nuclear provocateur linked to proliferating weapons, drugs and counterfeit cash abroad, while operating a terrifyingly effective police state at home. Western companies will require more than the usual amount of persuasion. They will want something the North Koreans can’t possibly provide: a blessing from the White House. That’s where Gabriel Schulze, scion of the Newmont Mining fortune, with a prospector’s taste for risk and opportunity, comes in. He has been surveying this forbidden market on the strength of informal connections to Coke and one of its bottlers, SABMiller, without either company’s toplevel approval–a Cold War-style mission that affords the higher-ups plausible deniability. Coke’s skittishness is striking from a company with a history of selling into almost any market–including such villainous or pariah states as Hitler’s Germany in the 1930s, Franco’s Spain and Pyongyang’s historical sponsors, China and the Soviet Union, in the 1980s (though Pepsi got to the Soviet Union first). North Korea is one of the last frontiers. “That is your task, to become a pioneer,” says Jang Gwang Ho, the senior North Korean official in the coterie greeting Schulze’s group. While he has close ties to Republicans in U.S. politics, Schulze’s forays abroad, such as a cement plant in Ethiopia, are far from conservative. Schulze Global seeks “double bottom-line returns,” he says, profiting while helping poor emerging markets develop. Bringing Coke to North Korea would be historic, but he knows engagement with Pyongyang might be seen as a folly back home, both financially and politically. “That opened the doors” to the Coke project, Schulze says. Making the world’s favorite carbonated beverage in Pyongyang would be quite another matter, though. The country still operates on a planned economy and has difficulty even manufacturing plastic bottles and cans. The government barters for sugar from Castro’s Cuba and would probably have to import steel to build a Coke factory. And although the estimated per capita income is $1,200 a year, the Coke factory’s workers would be paid barely more than a dollar a day (low wages are a key selling point to foreign investors). Further, the nation is plagued with persistent food shortages that force the regime to rely on international aid. Does a country this poor have consumers for the iconic American drink? The answer is yes, at least in the capital. Home to the privileged upper crust, or an eighth of the nation’s 24 million people, Pyongyang has a visibly robust elite economy. The city’s wide Stalinist thoroughfares, bereft of private automobiles five years ago, are now filled with tens of thousands of foreign cars, including American and Japanese brands. Mobile phone use is common, with more than 300,000 accounts in the capital using the 3G network built by Egyptian telecom Orascom. That includes some of the city’s traffic women, famous for white gloves and powder-blue uniforms. With traffic lights now doing most of their work for them, one was spotted on the sidewalk jabbering into her cellphone. The city’s new Pothonggang Department Store was fully stocked with imported fare to be had at prices in North Korean won that are affordable only at the black-market exchange rate (2,500 won to the dollar at the time, compared with the official rate of 100 won). Name brands like Heinz Ketchup (the equivalent of $4 a bottle), Mars bars (a little more than $4 per bag) and all manner of high-end liquors and cigarettes are on offer, usually imported from Europe or Asia. On another floor you can find imported sweaters, dresses and shoes. The checkout lines run briskly in midafternoon, the shopping done mostly by women, many of them likely the wives of government officials and army officers. (Kim Jong Il showcased the store with a visit in December.) Out on the streets the proles shop for snacks and locally made sodas–typically fruity concoctions in glass bottles–at hundreds of kiosks throughout the city, mostly priced at the black market rate of 20 cents to 40 cents. Those prices would be 25 times higher at government exchange rates and thus out of reach for almost all North Koreans on their official salaries–but hard currency is flowing into the capital, “through this and that channel,” Jang says, and is spent. “Although officially they are not receiving the salaries from the government in hard currency, they have! So they like to spend the hard currency for their children because the children like to drink the Coke,” he explains. Friendly though they are with Schulze, Jang and Park both make clear that they answer to a higher power, the leader they refer to only as “the top man,” “the General” or the “Dear Leader”: Kim Jong Il. Park was born to Korean parents in northeastern China in 1959, as Kim Il Sung’s regime recovered from the Korean War. Park built relationships with North Korean officials by selling them much-needed gasoline in the 1990s. He is a salesman again, puffing up his chest as he blusters about the will of the General to change North Korea’s economy, led by his Taepung Group. Parse the bombast and you get a rare glimpse inside the complexities of power relationships. Park says he has never met the top man and instead takes his instructions from a close Kim confidant, 73-year-old Kim Yang Gon, who is chief of the United Front Department, an intelligence arm of the Korean Workers’ Party, and chairman of the Taepung Group. Still greater power at Taepung likely lies with another member of the board of directors, Kim Jong Il’s brother-in-law Jang Song Taek, who as vice chairman of the National Defense Commission is considered North Korea’s second-most-powerful man. The National Defense Commission, chaired by Kim Jong Il, is also Taepung’s controlling shareholder. To some Western analysts the tight control of Taepung signals that Kim’s coterie is not an agent of change and reform but precisely the opposite–a means to tighten its grip over the North Korean economy. The reasoning: Kim wants Taepung to bring in multibillion-dollar deals for resources, power plants, ports and roads, they say, so that he and his cronies can control the spoils. This entry was posted on Wednesday, October 5th, 2011 at 9:54 am and is filed under Economic reform, Foreign direct investment, Korea Taepung International Investment Group (Daepung Investment Group), National Defense Commission, Third Building Secret Service, United Front Department, USA, Worker's Party. You can follow any responses to this entry through the RSS 2.0 feed. Both comments and pings are currently closed.